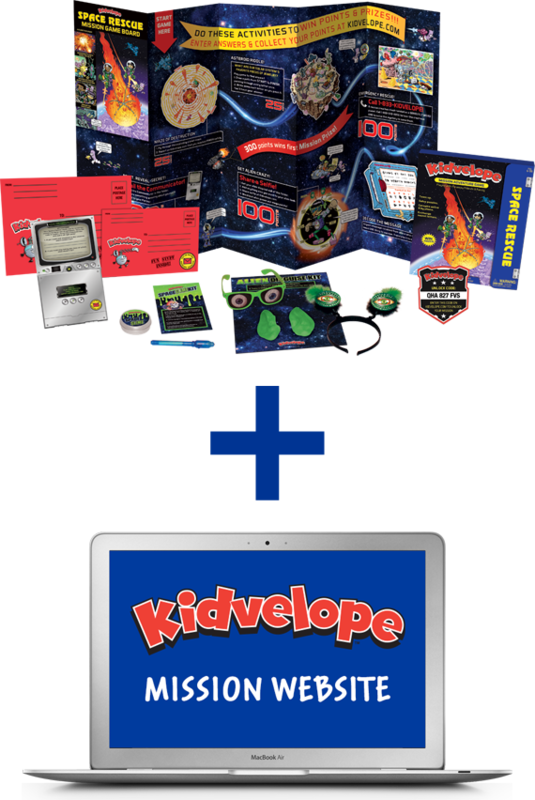 Each Kidvelope activity kit comes stuffed with goodies and access to Kidvelope.com for more action, communication, and tracking your points and prizes. More missions are coming soon. For purchase individually or via subscription. 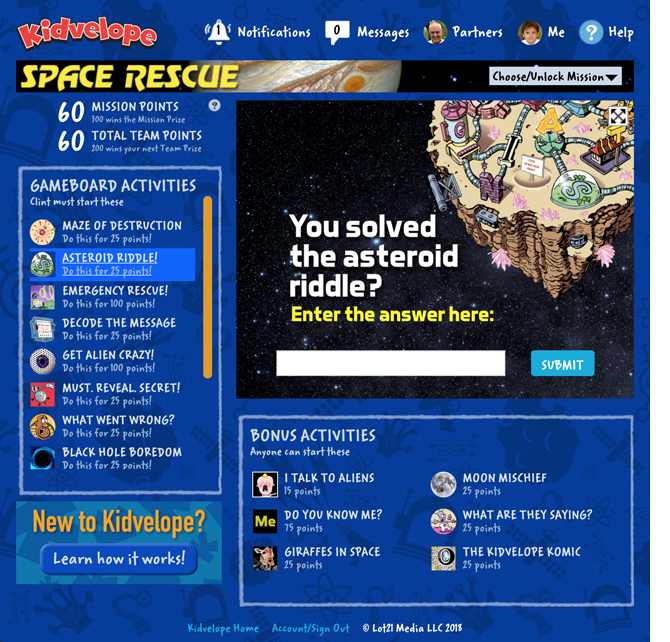 Here’s what’s inside the Space Rescue Mission, as an example, and some details on playing Kidvelope online . . .
Each mission begins with the eye-popping giant poster Game Board, packed with fun challenges that inspire imagination, thinking skills, and self-expression. 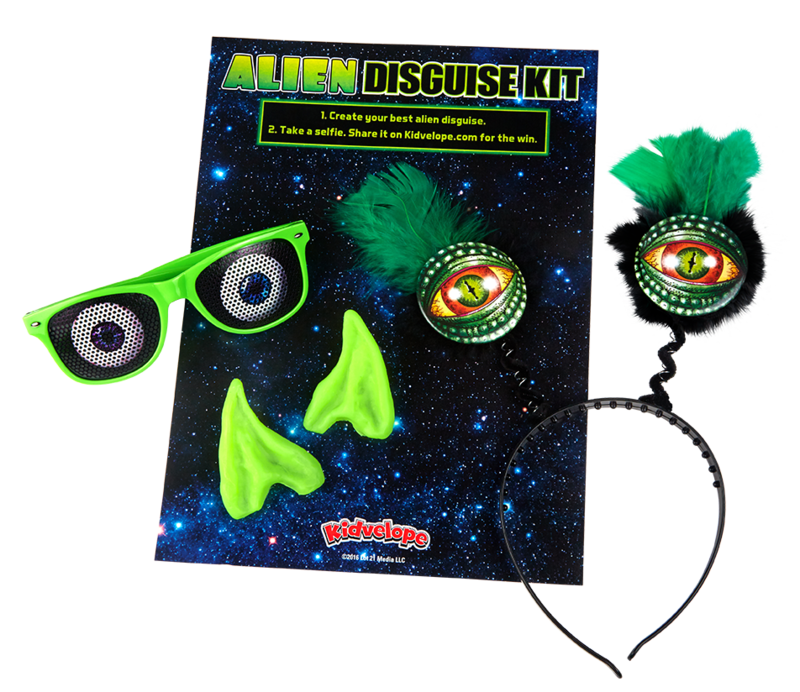 Kids go “undercover” as aliens and send silly selfies via Kidvelope.com! 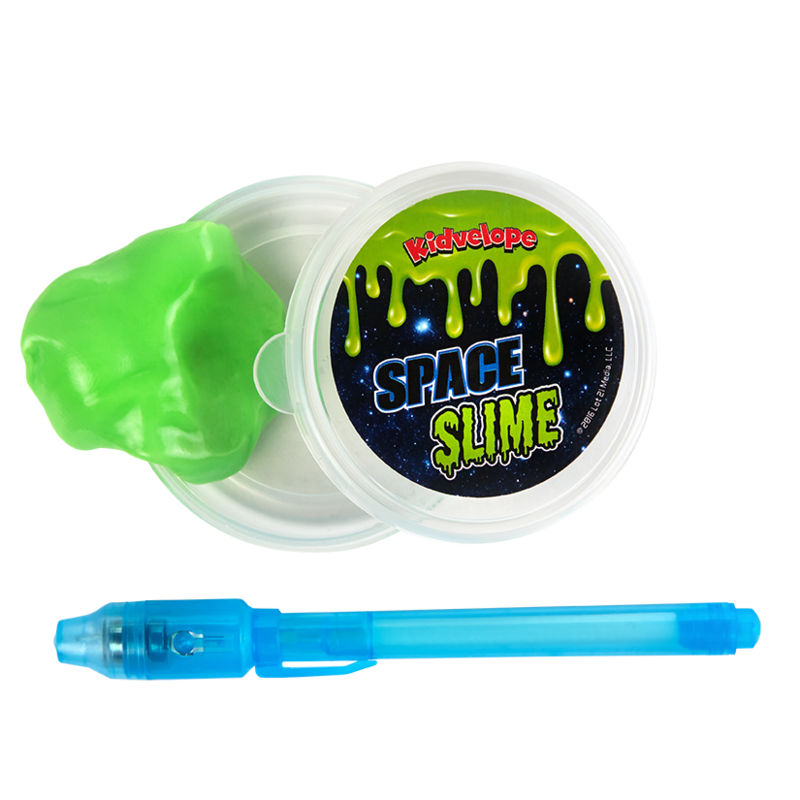 Using the included ultraviolet pen, kids write secret glow-in-the-dark messages on our special Space Slime, and share pictures of their messages at Kidvelope.com. 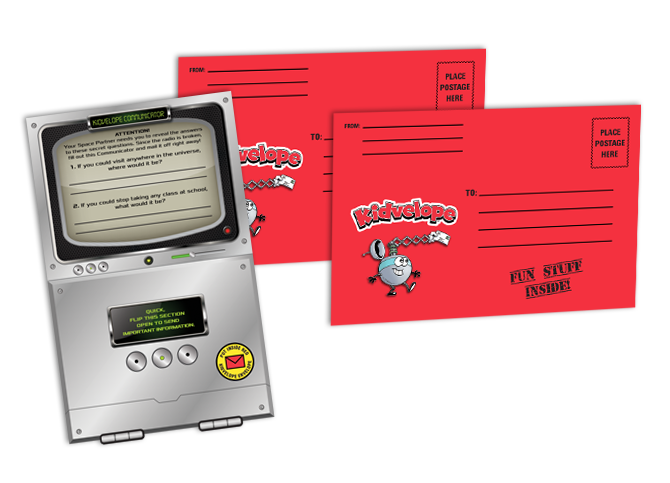 Kids and grown-ups mail each other secret information using the included envelopes to send the Communicator back and forth. 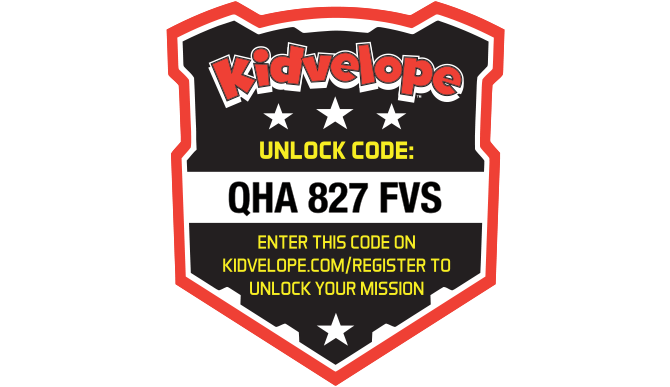 Kids can jump right in by using the fun Quick Start Guide, and entering the Unlock Code online to use the mission website. 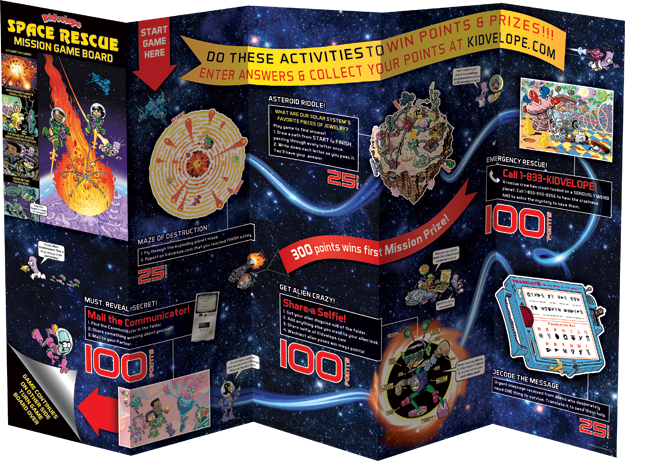 At Kidvelope.com, kids enter their answers from the Game Board to win points. They also unlock cool new games and challenges to play with their grown-up partners! 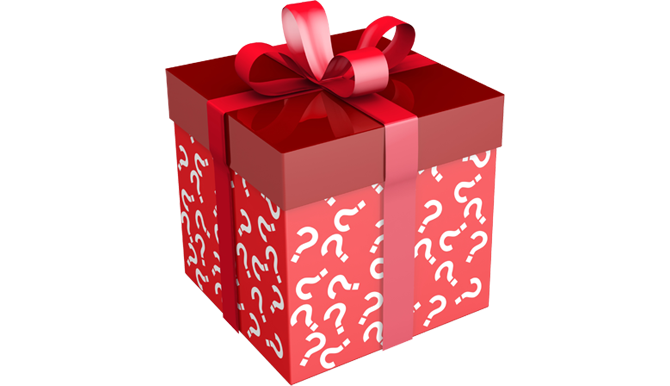 Once kids reach 300 points, they get the nifty mission prize mailed to them! 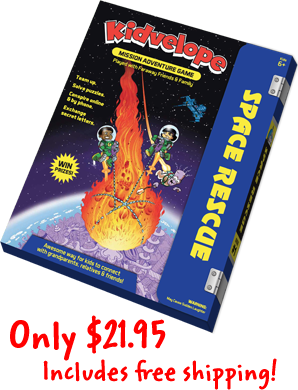 Our Space Rescue Mission Is Available Now!